Holi celebrates the Hindu story of Prahlada. Prahlada was a prince dedicated to the worship of Vishnu, a major Hindu god. Prahlada's father and aunt opposed his religious faith, and as punishment made him sit in the middle of a raging bonfire. Vishnu protected Prahlada, and the prince did not burn. In some states there is also a tradition of breaking the pot full of buttermilk which is hung high on the streets. A group of boys form a human pyramid and one of them break the pot. All this while womenfolk throw buckets of colour water on them and sing folk songs. And after a wild and eventful day, evenings are celebrated in a dignified manner by visiting friends and relatives. People exchange sweets and hug each other conveying the warm wishes for Holi. 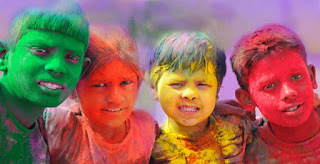 These days there people also participate and organise Holi Meets and enjoy the festival till late in the night. Holi celebrations that starts with the burning of Holika on the eve of Holi thus culminates with the lot of funfilled activity and bonhomie. However, at some places specially Mathura and Barsana Holi celebrations continue for a week as each major temple organise a Holi bash on different day. Lovers of the festival enjoy every moment to the hilt. As far as possible use the natural colors.If the natural colors are not available then ,buy better quality of colors. Make sure that face is well creamed before and after play holi.Apply some coconut oil over your exposed body part so colour will not stick to the skin,i.e.will be easily washable. Oil your hair well,so that the colors do not stick to the hair and can be removed easily later . You can wear some scarf to protect your hair. Use more of red or pink colours which looks good and can easily taken off. Gaudy purple, green, yellow, orange have more harmful chemicals in them and should be avoided. 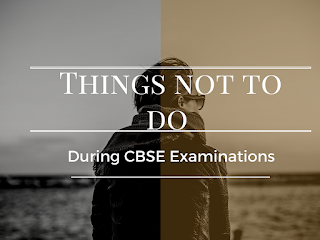 Take a bath much later after the entire Holi celebration is over. Taking frequent baths, washing the face again and again, will ruin your skin. You will also lose hair, for too much soap/shampoo has a drying effect. Use besan mixed with curd and turmeric when u take a bath.It removes the colour easily. 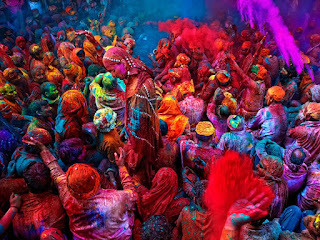 Use Herbal / Natural colors instead of Synthetic colors because these festivals are for enjoyment.